1) Business Cards. This probably seems like an obvious item. Business cards are a must for ANY business. For a medical office, it’s a good idea to have branded business cards made up for each one of your office’s doctors. This gives patients the sense that they can get in contact with their physician and that your doctors are readily available to your patients. It may also help to get business cards made up for your office administrator for people you need to connect outside your patients, such as marketers or pharmaceutical companies, for instance. Get a couple of business card holders and have business cards for all your doctors available right at the front desk for patients and clients to grab as they walk in or out of the office. 2) Brochures. Perhaps another obvious one. A Tri-fold brochure or bi-fold (half fold) brochure gives patients, new and old, a way to quickly learn about your practice. Your branded brochure should briefly mention the services you offer, your medical team, and your office’s goals. It should quickly educate patients and clients about your practice, and drive them to your website (which you MUST get if you dont have one already). The standard size for a brochure is letter size (8.5 inches x 11 inches), which works fine for most offices. However, if your office is going to have several brochures (it’s not uncommon to have brochures designed specifically for one procedure or treatment offered), you may want to opt for a bigger sized brochure that will stand out. 3) Consistent Branded Documents and Forms. Your patient forms, release forms, informational one sheets, order forms, and all other in-office documents should contain your office’s logo and branding for a consistent look and feel. Professionally branded and printed forms will make your office look experienced and trusted in your patient’s eyes. And it’s relatively cheap to get your documents printed in bulk so you have them accessible when needed. 4) NCR Forms. Non-Carbon (NCR) forms kind of goes with number 3 but we’re giving its own number just because lots of offices forget how important these are. An NCR Form is a multi-part form constructed from carbonless copy paper. NCR Forms allow multiple copies of a handwritten or impact-printed document to be created simultaneously. This is especially important in a medical office where usually the same forms have to go to the several people (doctor, patient, insurance company, etc.). 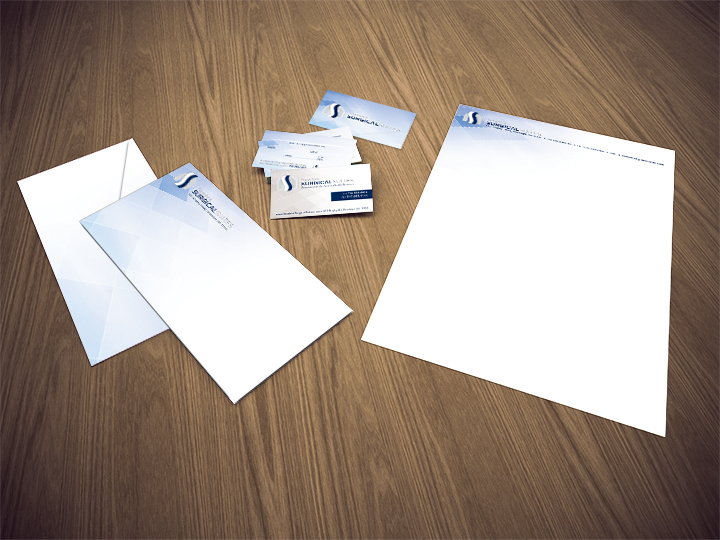 Branded NCR Forms, like the other branded documents help give your office a professional quality. 5) Postcards. Postcards are a must have for any business where you’ll be doing mail direct marketing. Postcards are a perfect way to introduce your new practice to the neighboring area, or to get the word out of a new doctor or treatment or accepted insurance at an existing office. 6) Posters and Banners. Specialize in a particular service or treatment? Want to educate your patients on a particular disease or disorder? Large format items like posters and banners are a great, affordable way to do this. Hang some around your office. It’s better than having a patient staring at a blank wall in the waiting room. Retractable Banners are a must have as well. These self-standing large banners are great for having at the entrance of your office and can easily be disassembled and reassembled if you’d like to take them a conference or trade show. 7) Branded Give-Aways. Give aways are a great way to show some appreciation to your current patients and get new patients alike. Relatively inexpensive items you can give away like pens, stressballs, and ice packs with your company’s logo and contact information on them go a long way to impress potential new clients and retain the patients you have now. Give-aways are great to have at the office and at trade shows. Running a medical office is no easy feat. 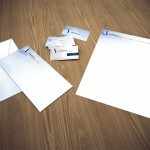 And while branded printed material is an absolute must, they often go overlooked. 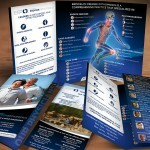 We here at Graphics for Doctors can take care of all your printed collateral needs for your office. 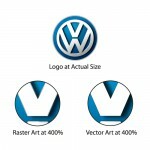 We design, print, and ship everything right to you, quickly and easily, all for an affordable price. Whether you’re opening a new office or you’ve been in business for years, let Graphics for Doctors take care of all your design and print needs. To get started, contact us. We’ll discuss your office’s print needs and take care of everything you need!